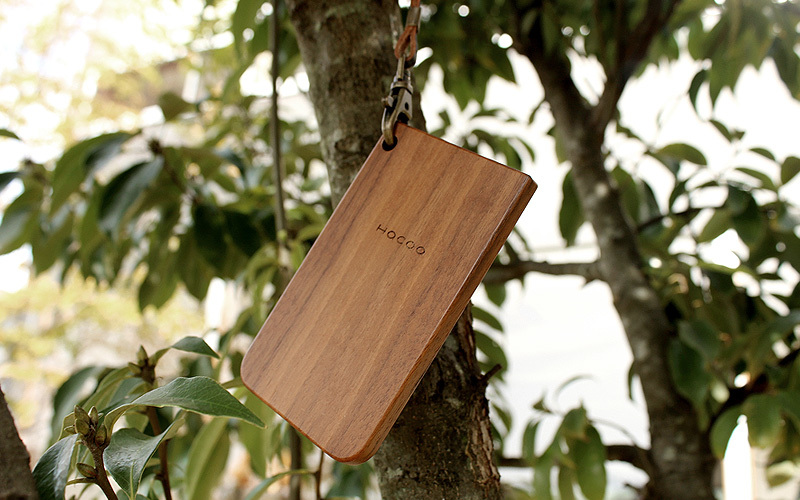 This simple smart case made of solid wood has a slim slot that you can slide you smartcard into. (The hook on the strap works as a stopper.) 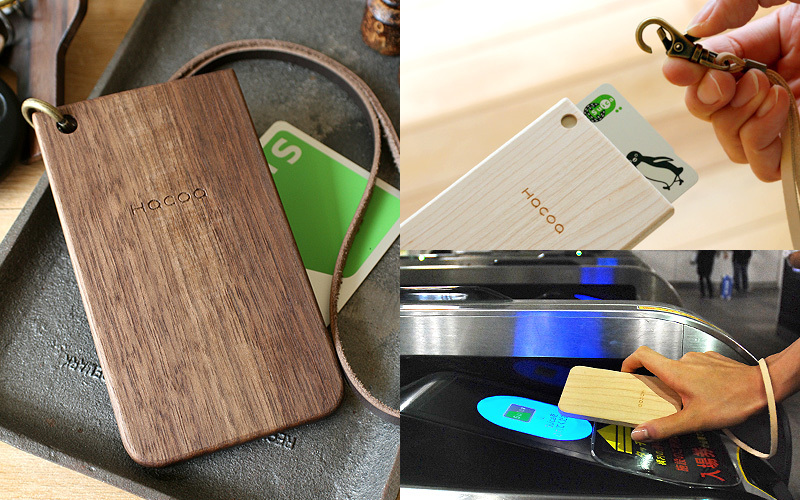 There is no need to take out your contactless travel card from the case. 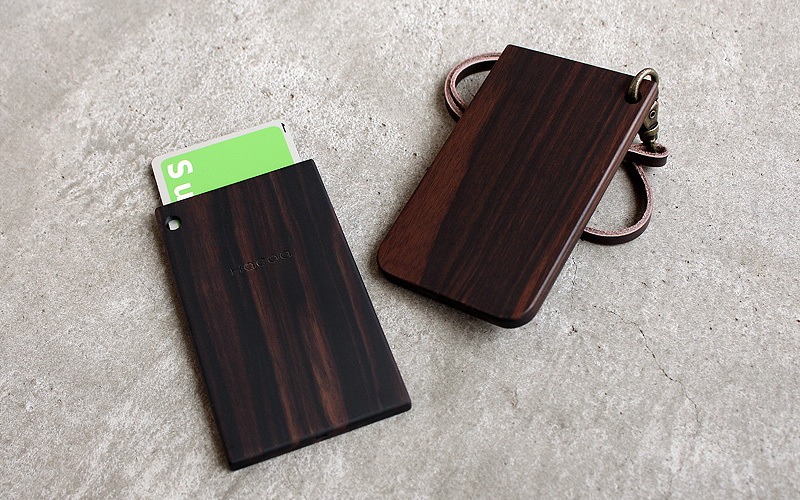 It will let you walk through the ticket gate showing off beautiful wood texture and grain. Available in two shapes, with squared corners or rounded corners.